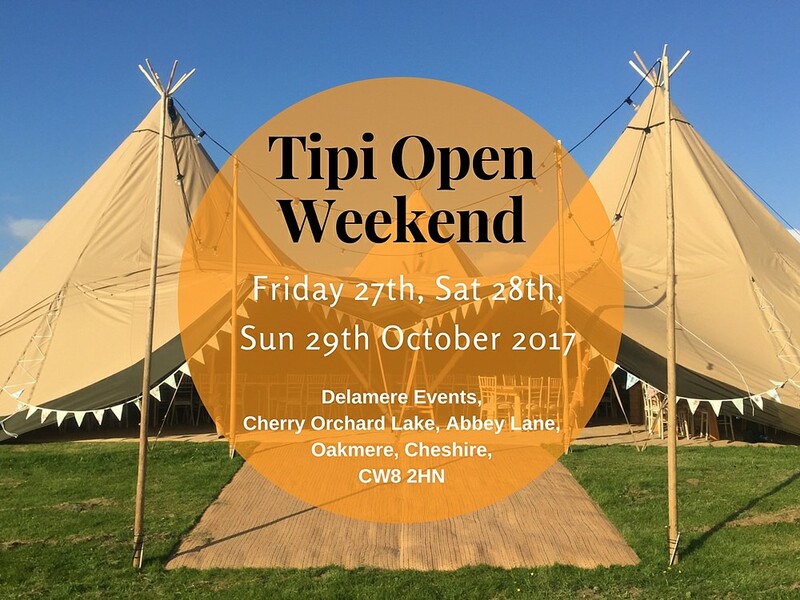 We are so excited about our Open Weekend, its our biggest ever! 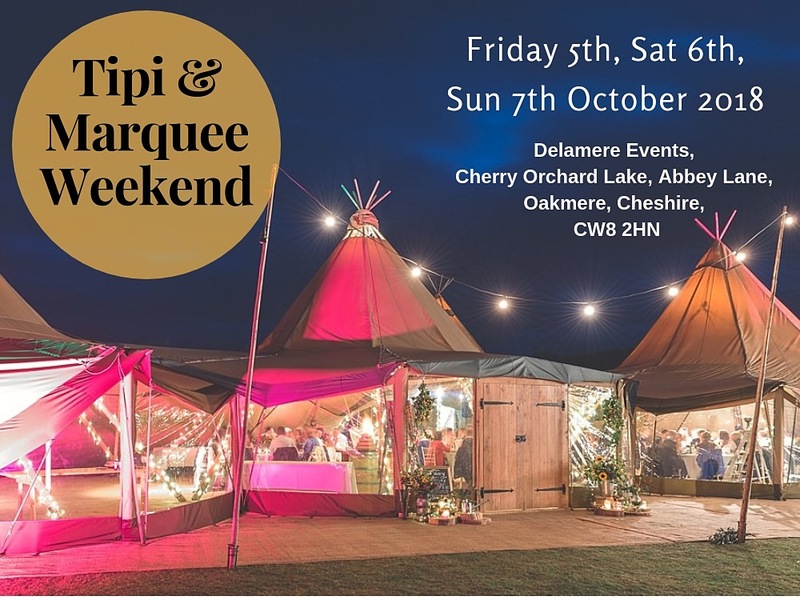 Taking place on Friday the 5th October (2-9pm), Saturday 6th and Sunday the 7th Oct (10-5pm). 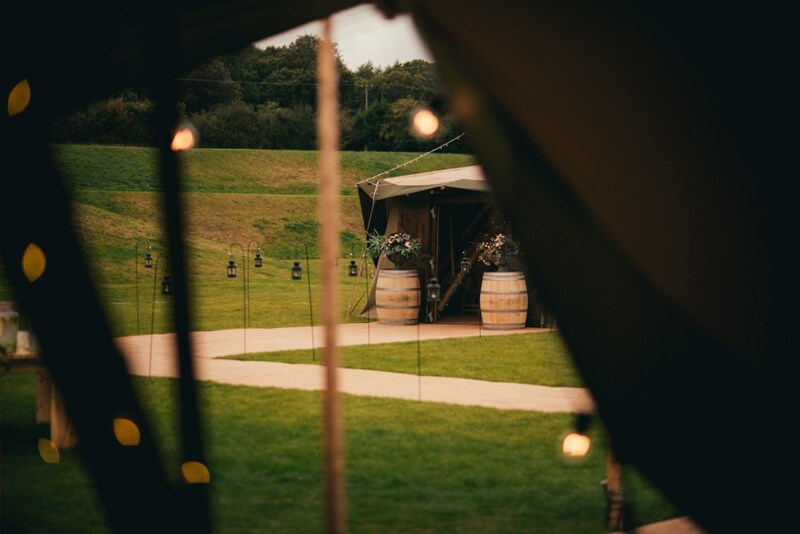 Get in touch to pre-register for your goodie bag! 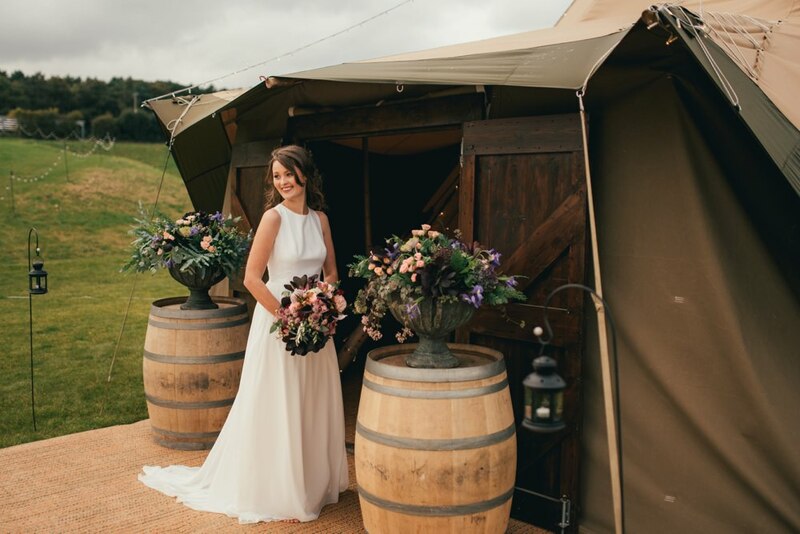 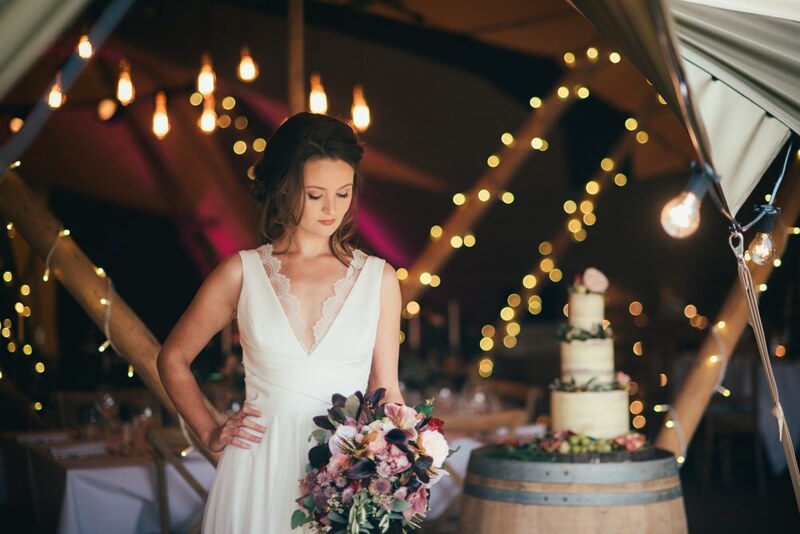 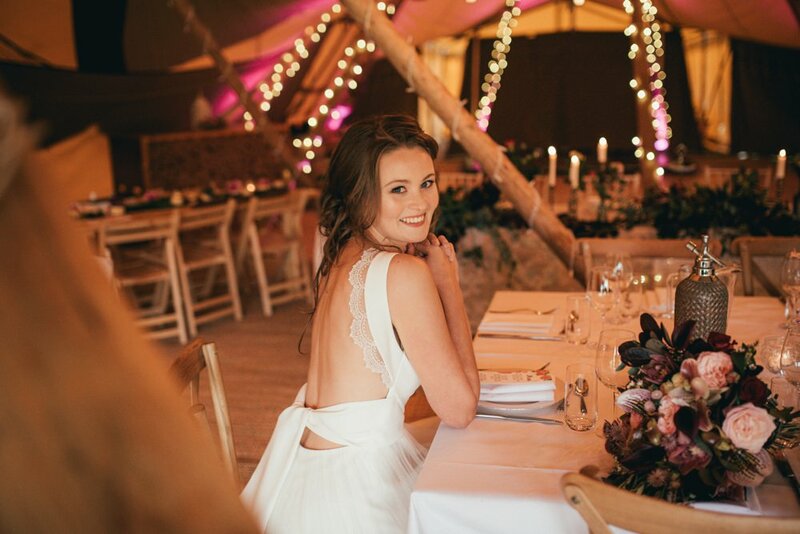 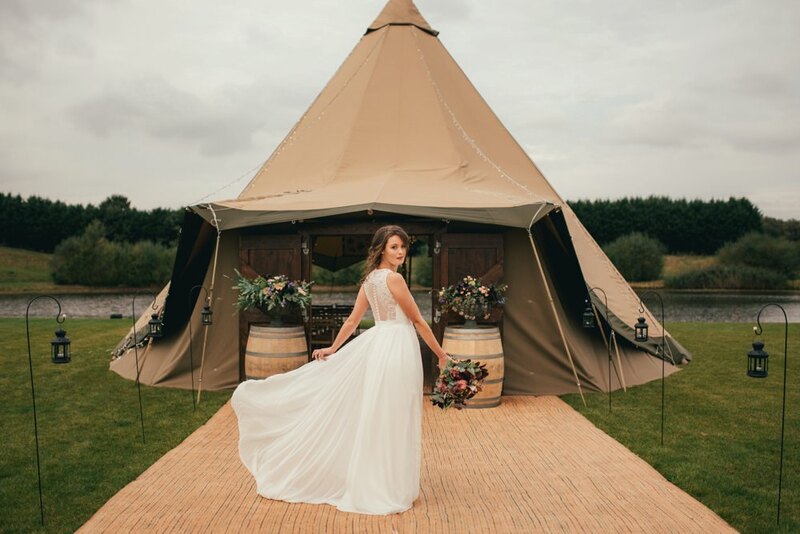 So ahead of our big weekend, here is our stylist Rebecca from Pretty Creative to give us some of her top tips on styling your tipi wedding. 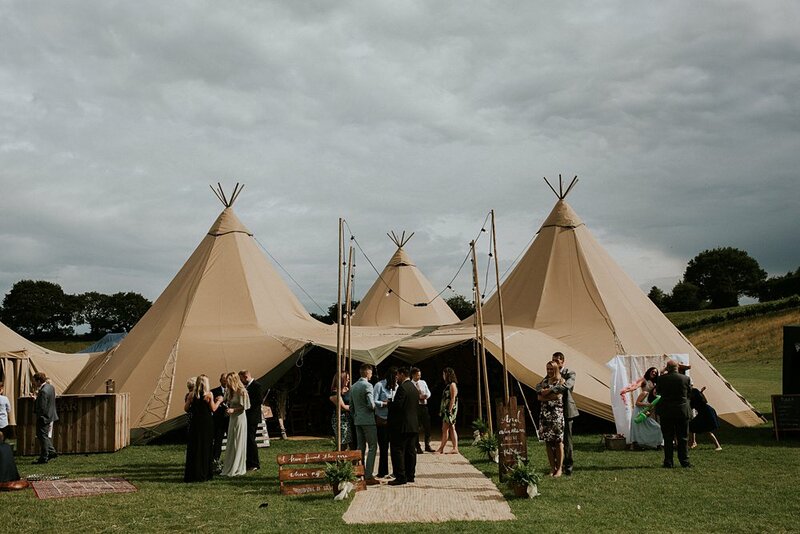 I love, love, love a tipi wedding! 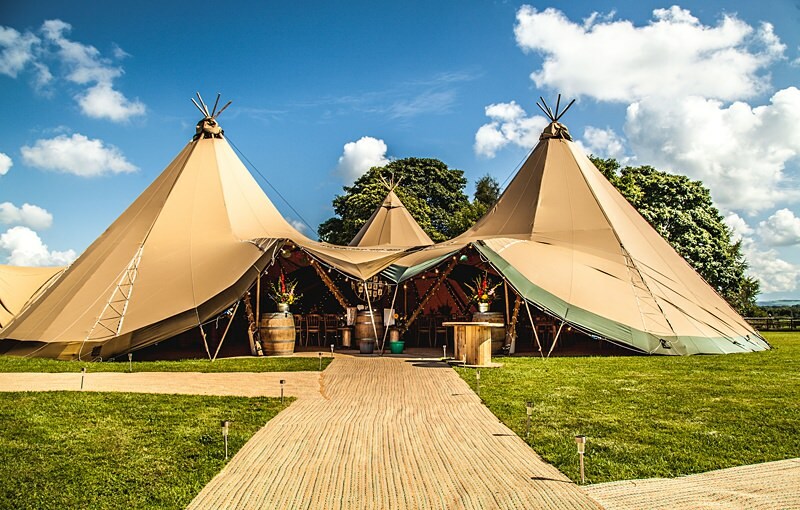 They are the ultimate outdoor wedding venue and a bit of a party animal at night! 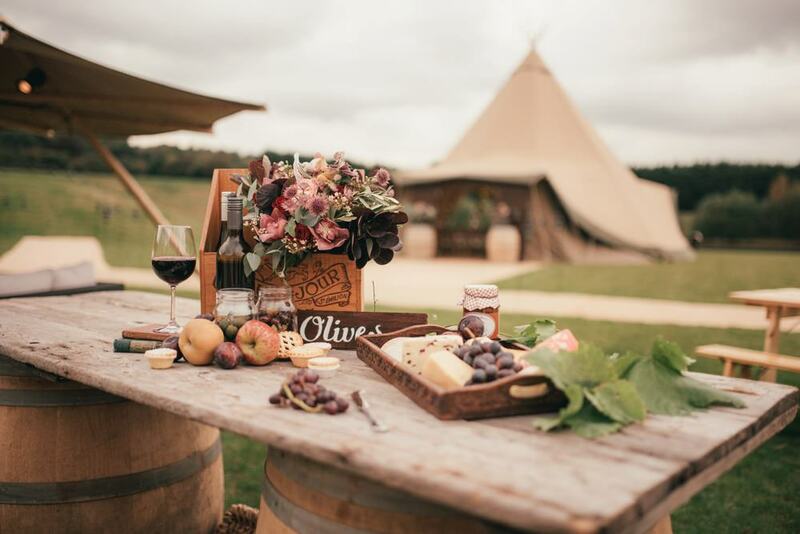 There are so many opportunities to create a space that your guests will love and that you can really put your own style on. 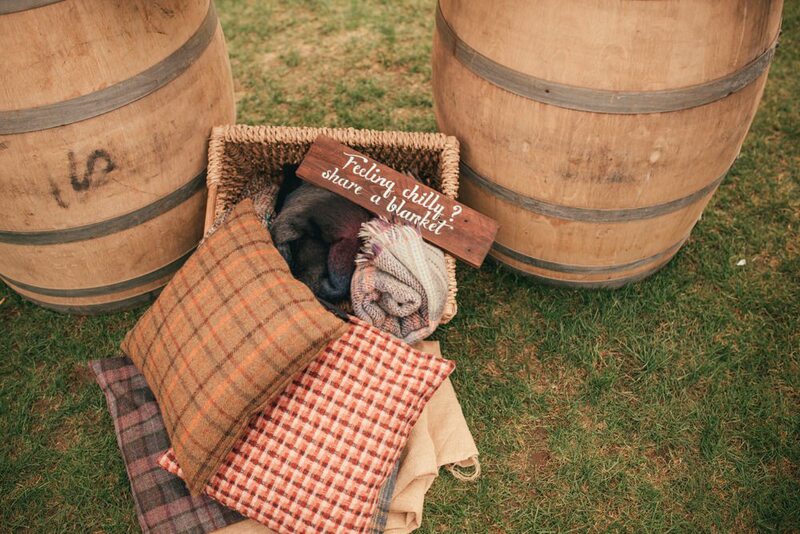 Thinking of ways to incorporate touches that reflect you as a couple is a great way to personalise the styling. 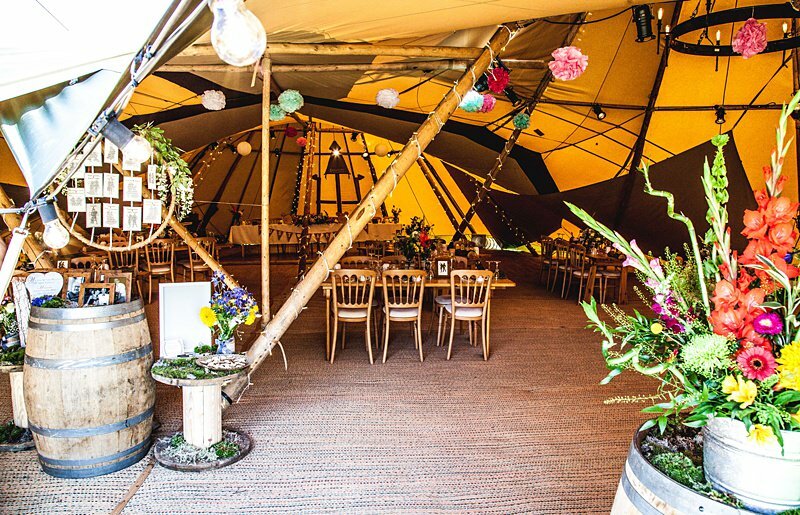 Perhaps having a festival theme if you are music lovers, complete with festival flags at the entrance and table’s named after your favourite albums or bands. 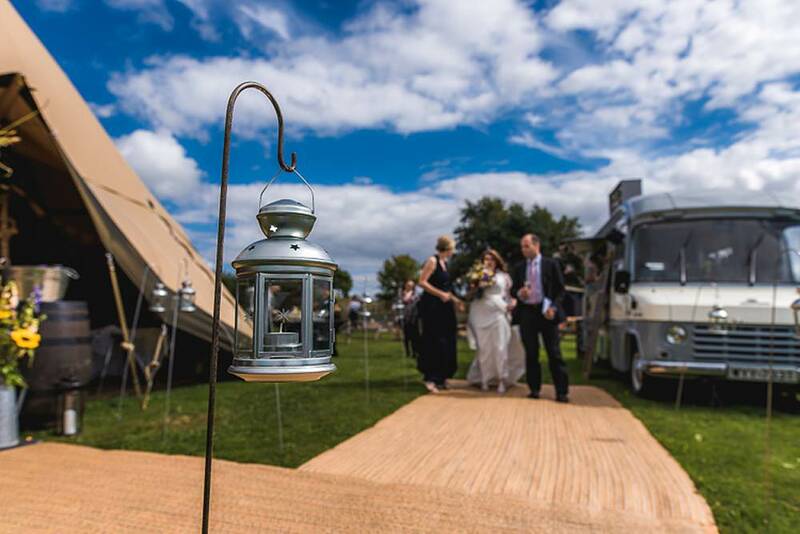 If you both love to travel you could book different street food caterers with a choice of different food from round the world. 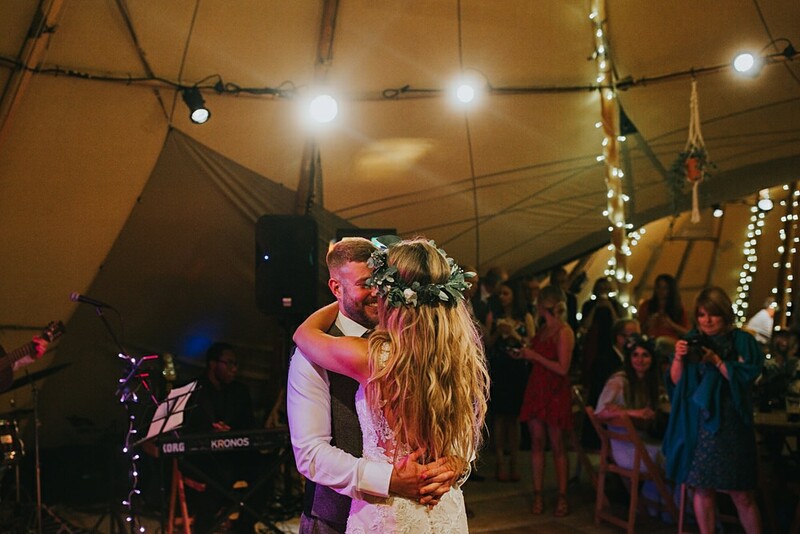 Tipi weddings are great for creating different zones for your guests, book yourself a brilliant band or DJ to get the dance floor bouncing and in another area of the Tipi, create a chill out zone complete with cozy seating, beanbags and rugs, perfect for chatting and enjoying a good celebratory drink. 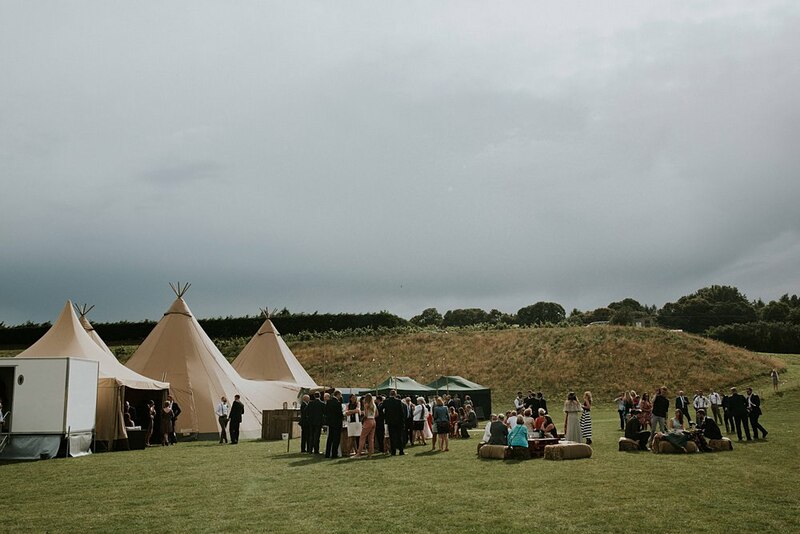 One of my favourite parts of styling any tipi wedding is the entrance area. 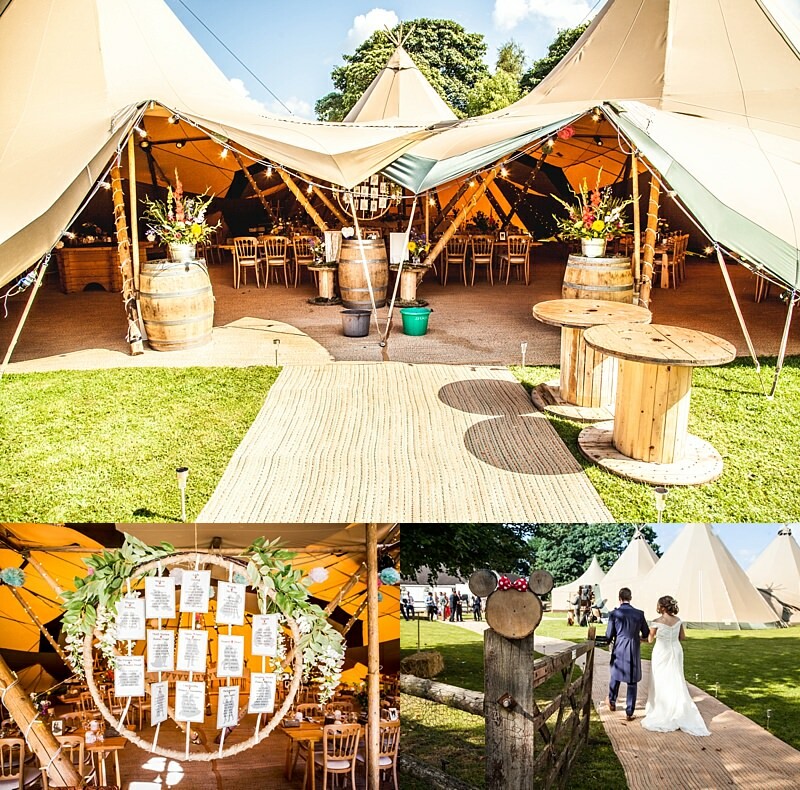 Line the way with streaming ribbons from festoon lighting poles, create a casual seating area with hay bales and throws, maybe go for a naked tipi! 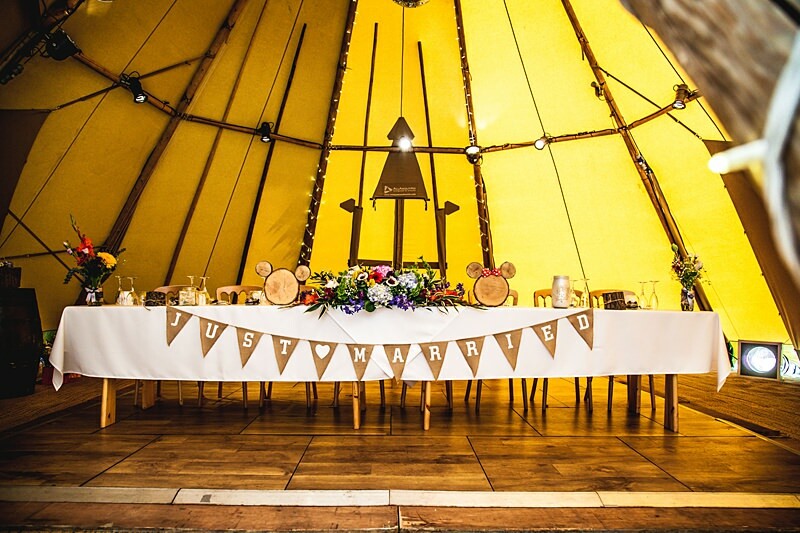 Put a cool round bar in the tipi, next to a dance floor with light up letters and glitter ball. 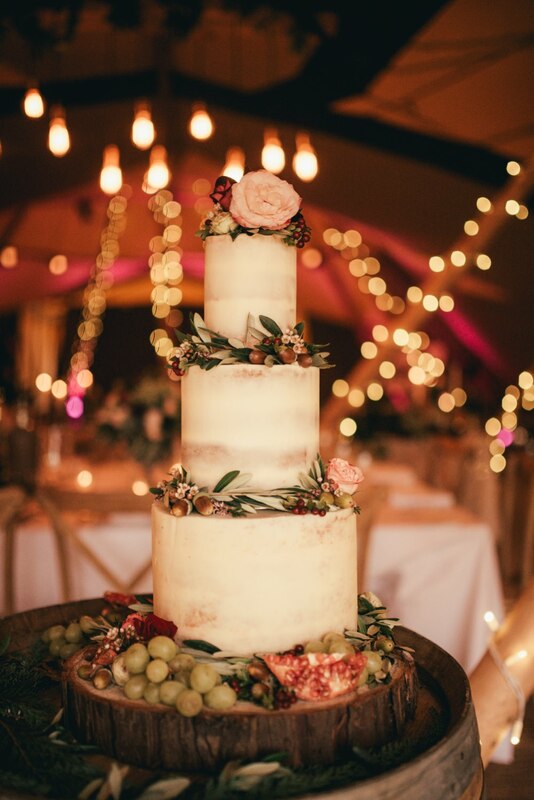 Inside the entrance you can make your wedding cake a feature right at the front where everyone can see it, ask your florist for a cute vase to put the bouquet in next to it during your meal and hang a funky table plan next to it so everyone knows where they are at! 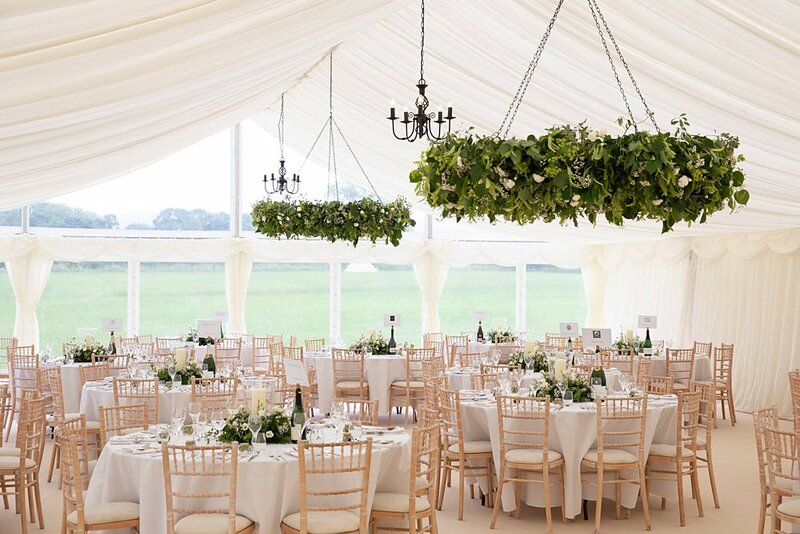 Fill the place with twinkly lights! 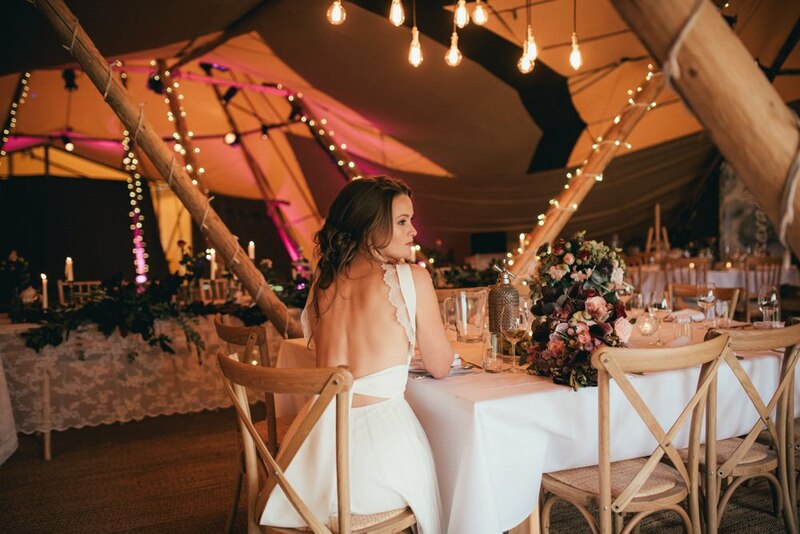 Tipis are such a magical space and lighting them up with fairy lights and festoon lights, just adds to the atmosphere. 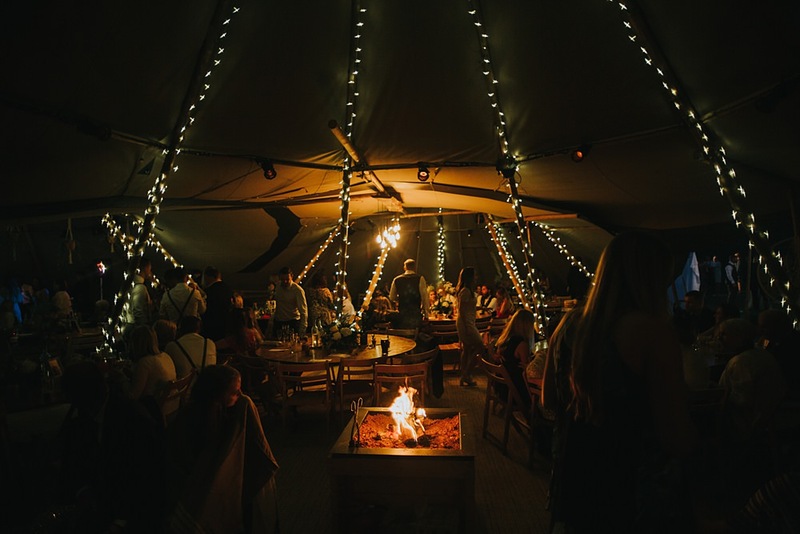 With roaring fire pits for toasting marshmallows and warming yourself as the sunsets. 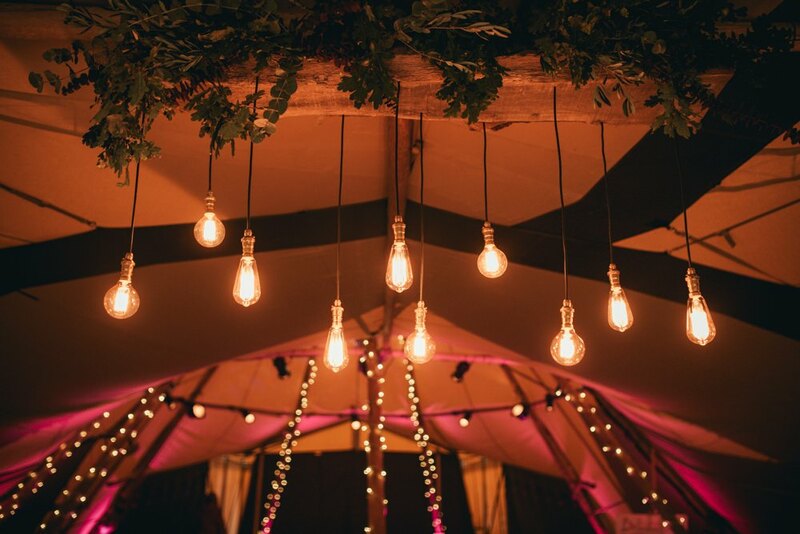 You will never regret having more lighting! 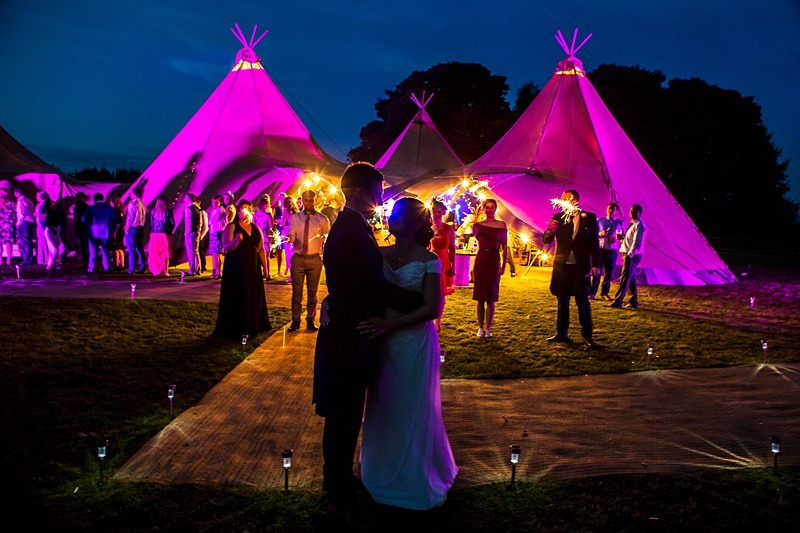 The tipis look incredible lit outside too with amazing coloured up lighters, festoon lit pathways and outdoor fire pits. 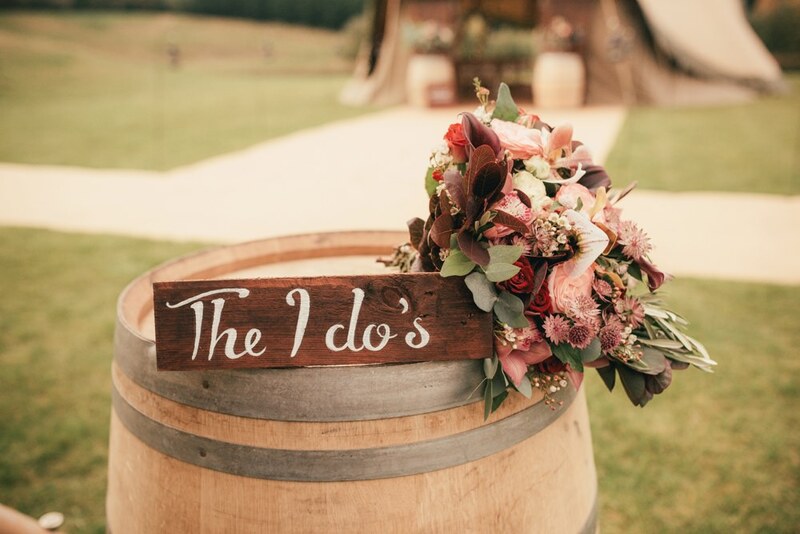 Give your guests sparklers for a magical send off at the end of the night. 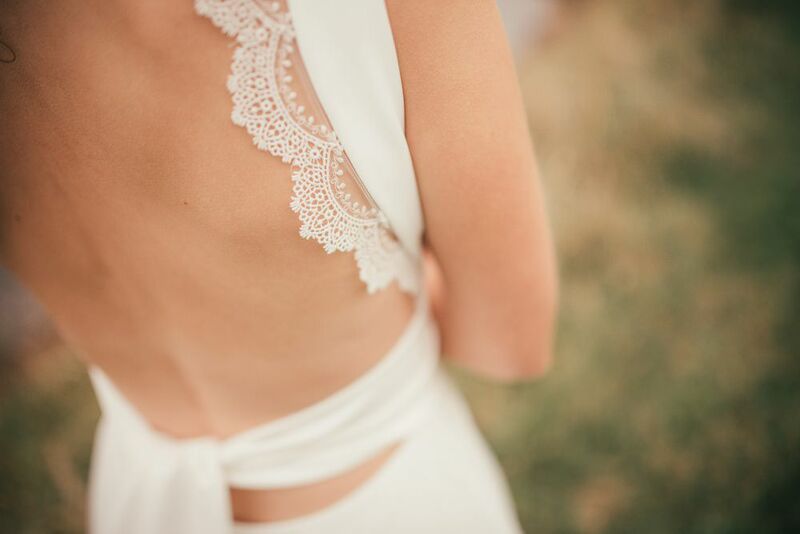 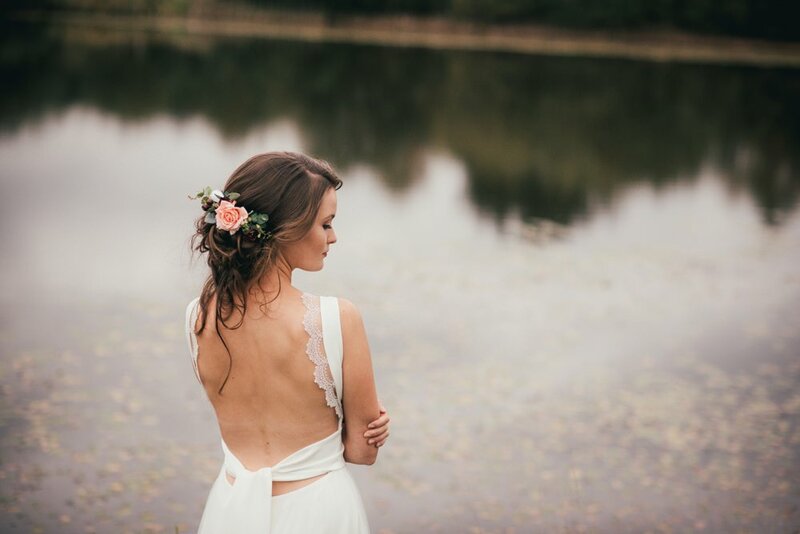 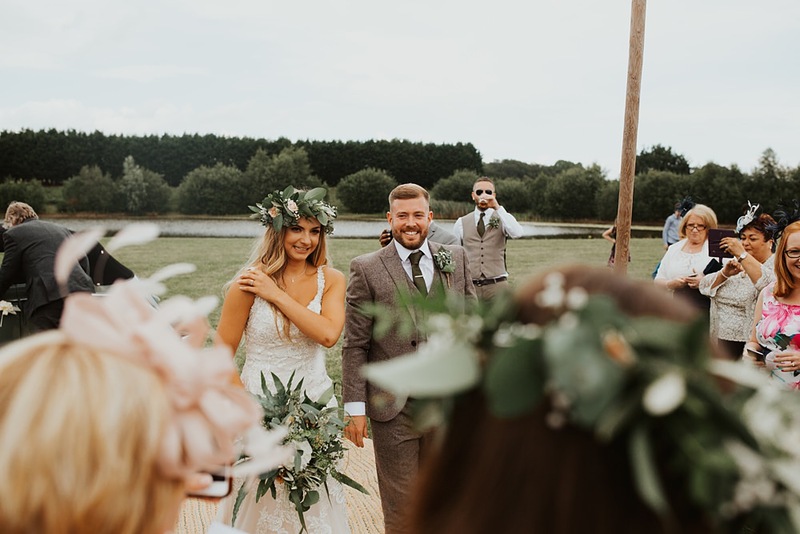 We love a boho wedding ! 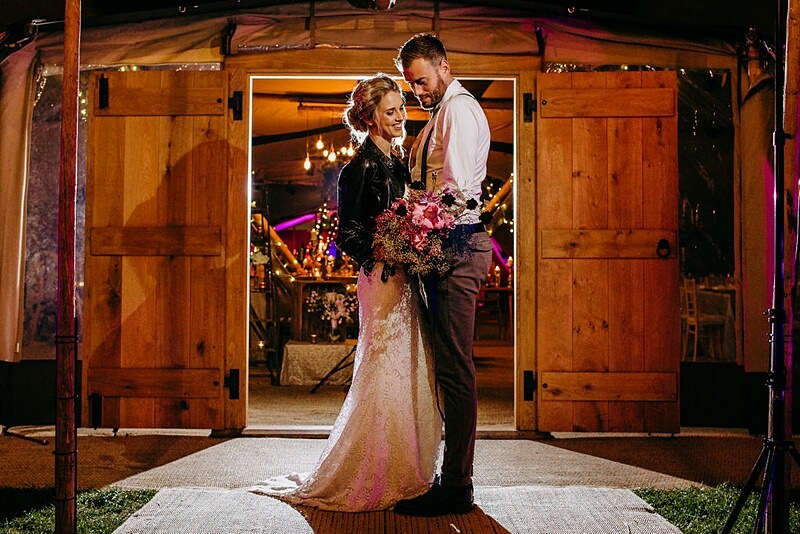 Floral crowns are a must, epic rustic touches, macrame details, hay bales, dreamcatcher table plans and a VW Beetle wedding car! 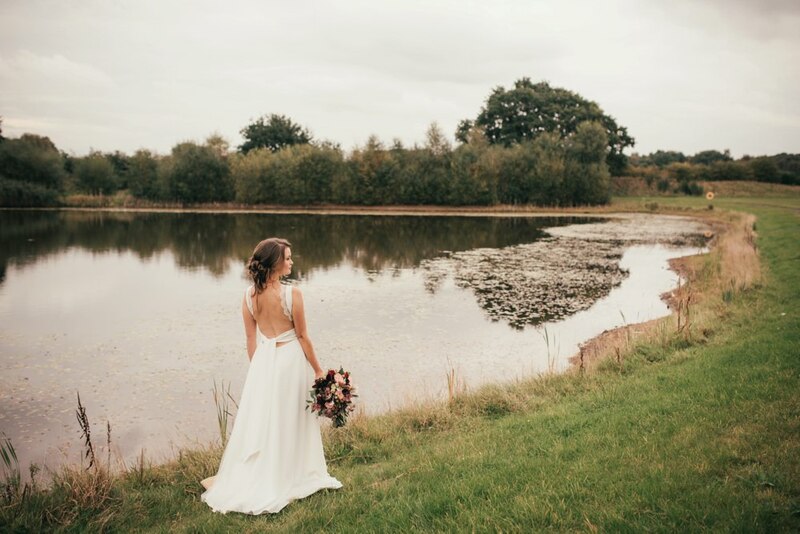 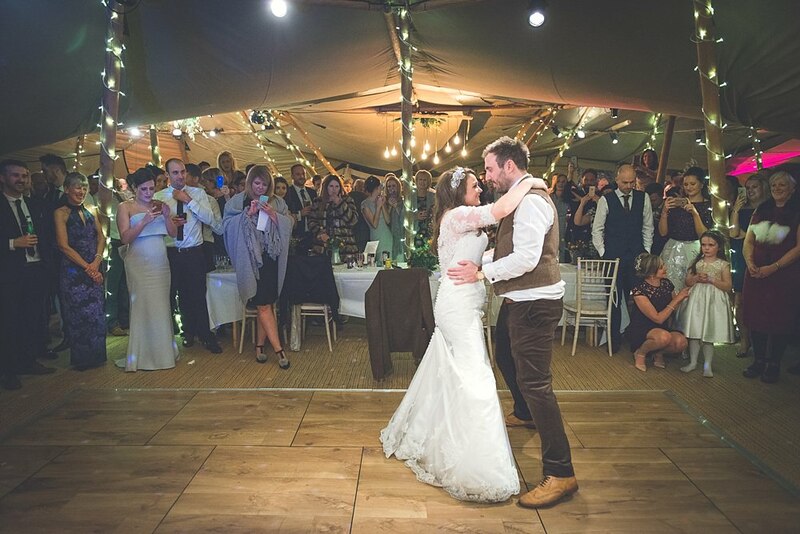 Bethany and Phil were married in the summer and threw an amazing wedding reception at the Tipi’s at Delamere Lakes. 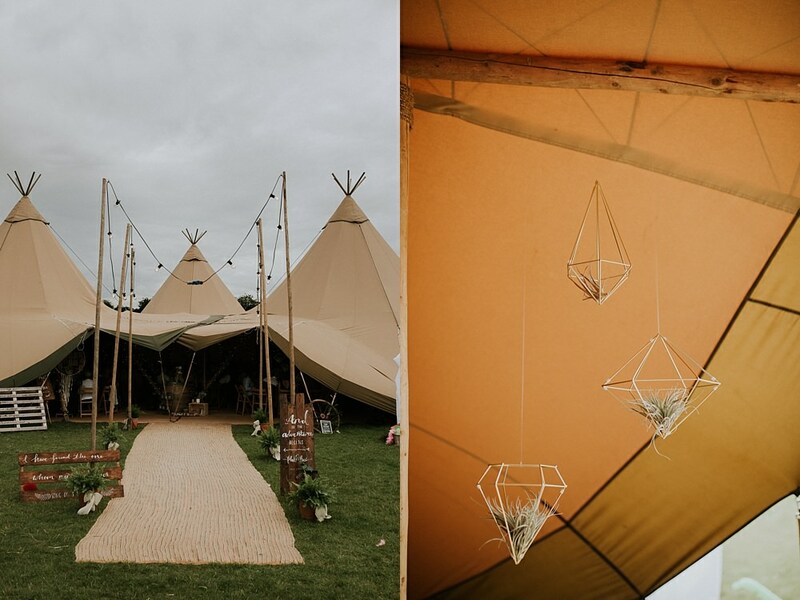 These images are brilliant and are courtesy of Colin Ross Photography. 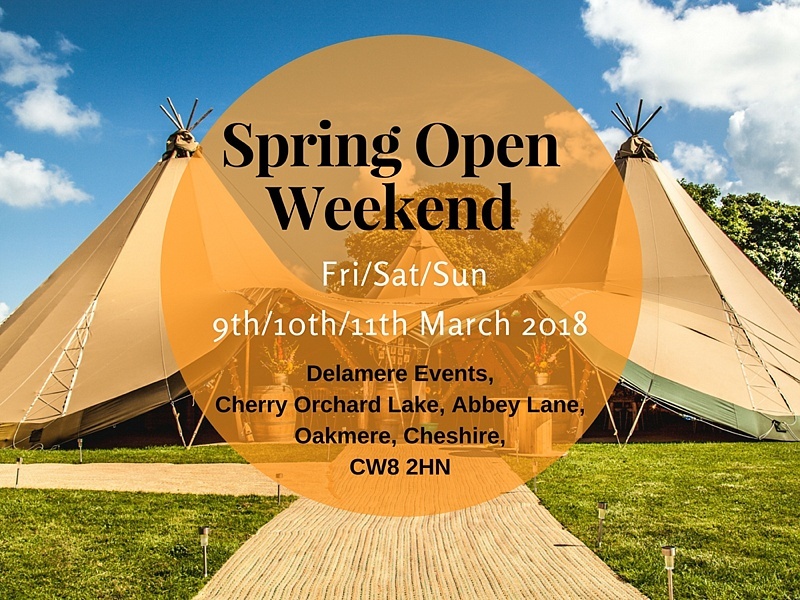 If you love the look of this day, come and see us at our open weekend at this very venue in Cheshire, Delamere Events. 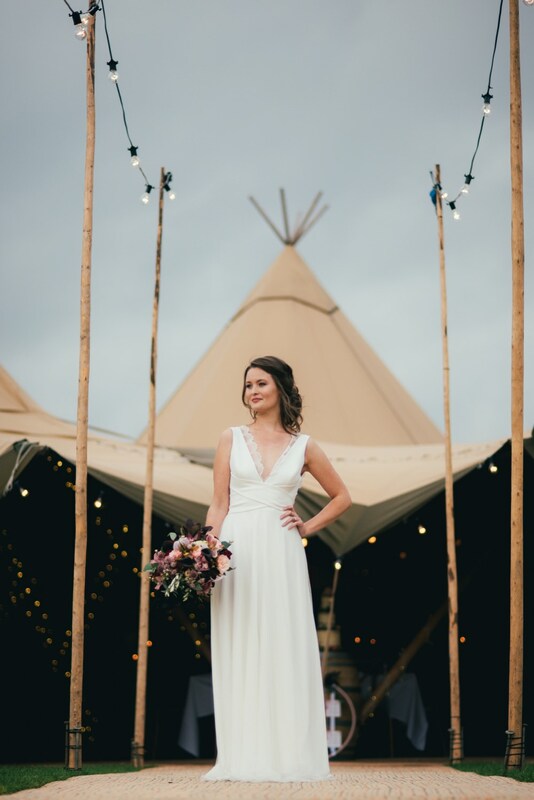 We’ll be there with inspiration for your own big day on Friday 9th, Sat 10th and Sun 11th March showcasing our Tipis and with exciting booking info about our new Marquees too! 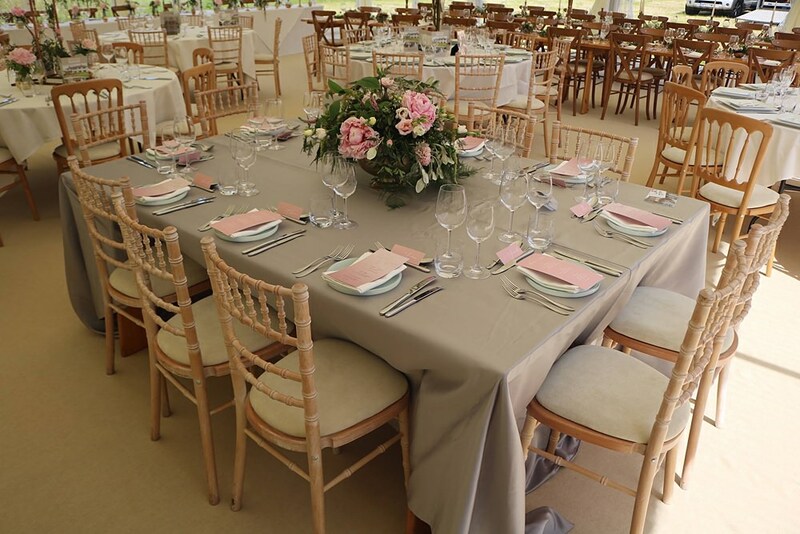 Get in touch to let us know you are coming along (email james@marqueesandevents.com) and you’ll get one of our goodie bags too! 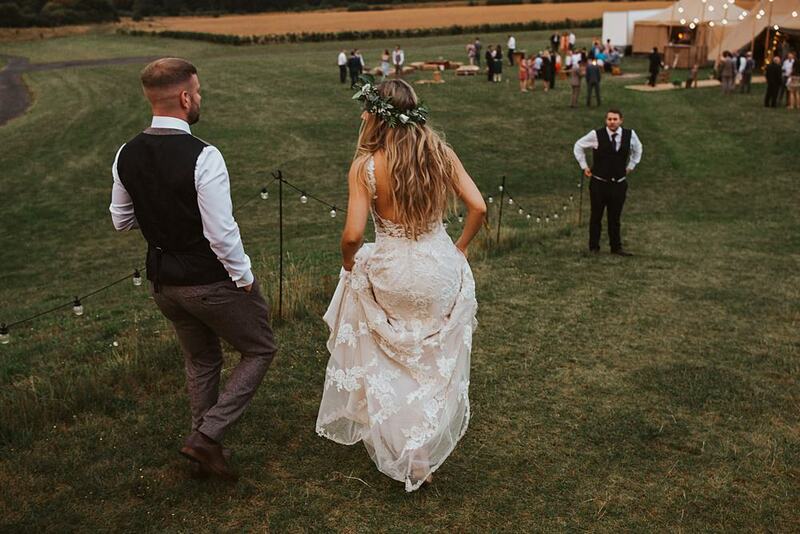 I just wanted to say THANK YOU SO MUCH for all your help and to All About Me for helping us throw our dream wedding. 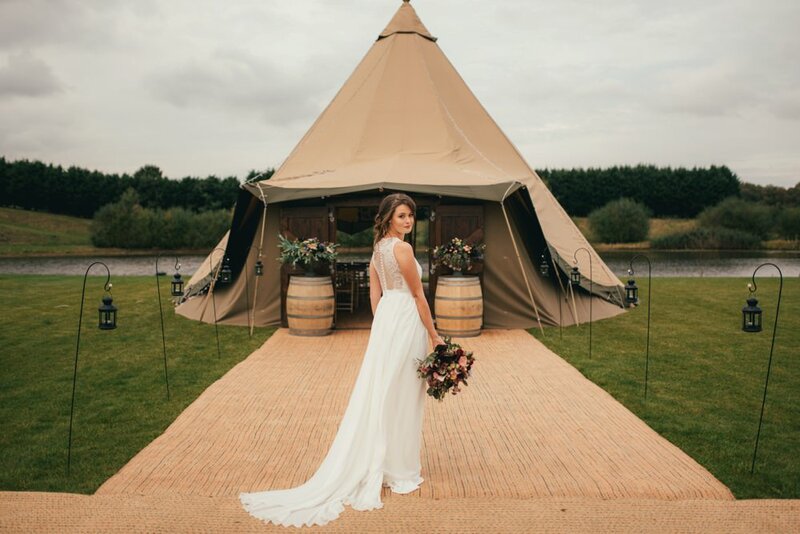 We had the best day of our lives and the tipi was absolutely perfect! 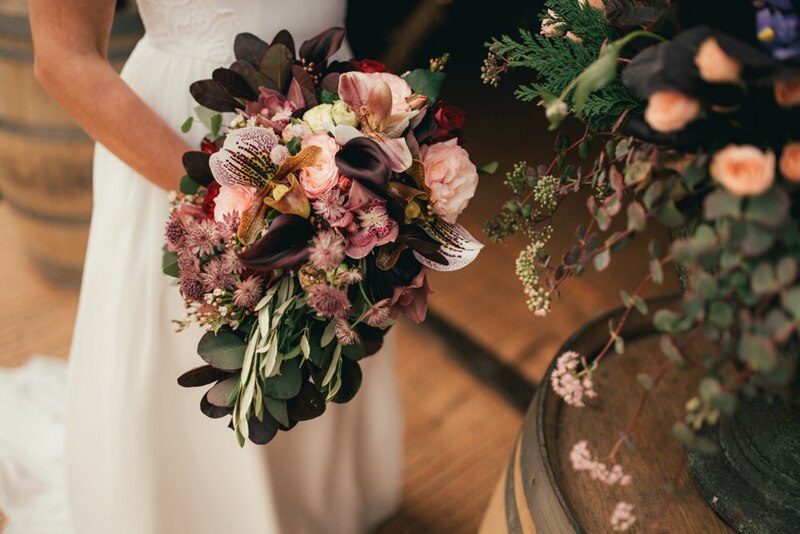 You were so helpful in the months before the wedding and I so appreciate all your speedy responses to my many many questions along the way. 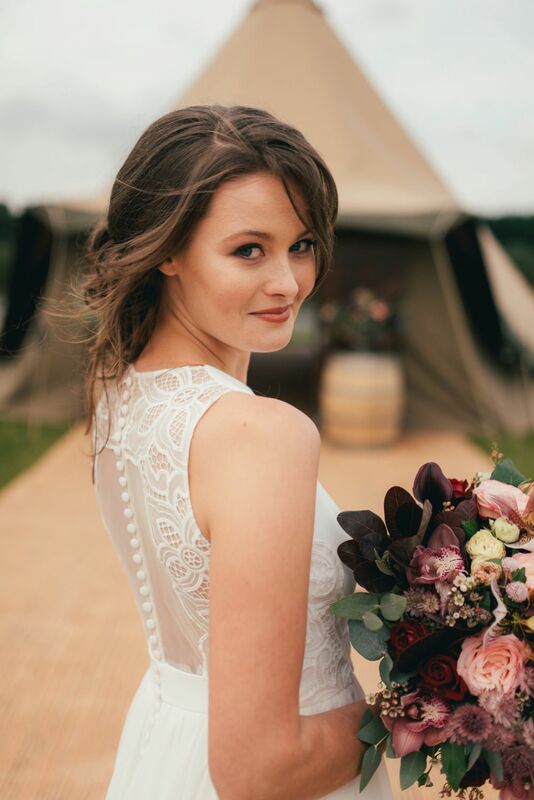 I could not recommend you guys more , in fact I already have been doing so to my engaged friends ! 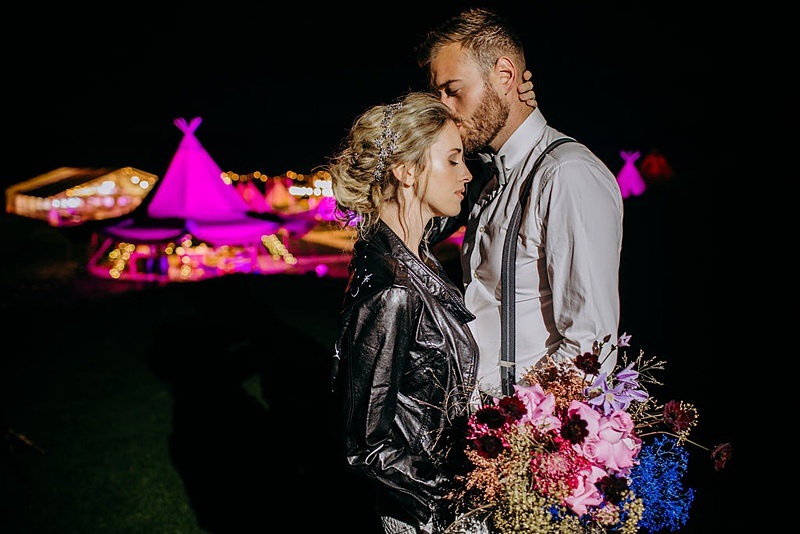 Bethany and Phil’s guests were entertained with live music as they entered the tipis, that were decorated with our fairly lights, hanging macrame, geometric shapes with airplants, foliage and gorgeous florals in vintage bottles on the tables. 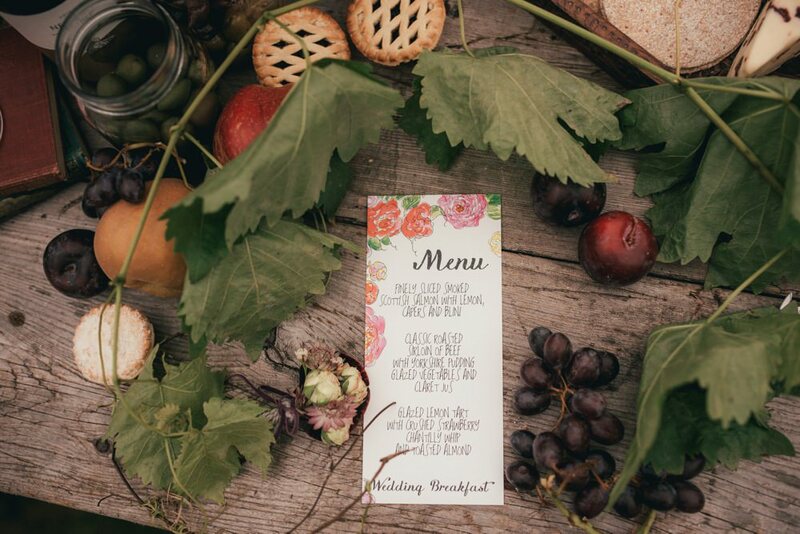 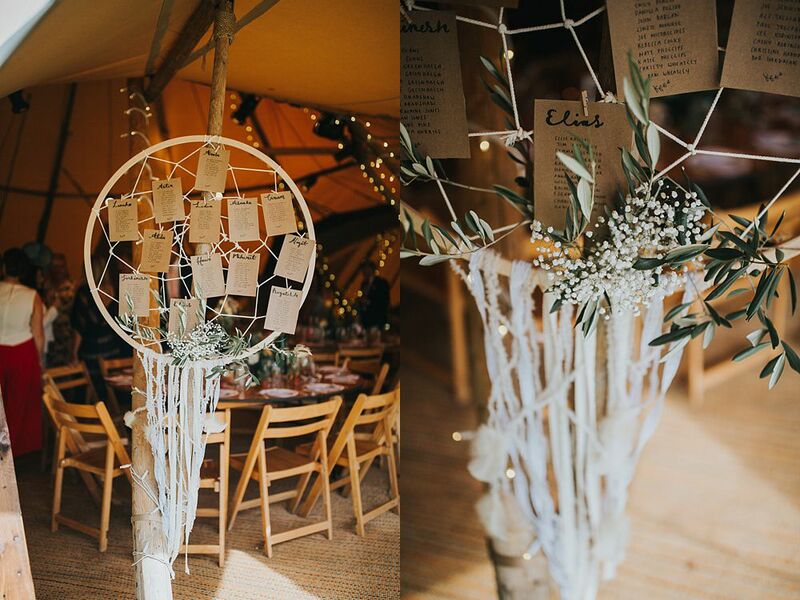 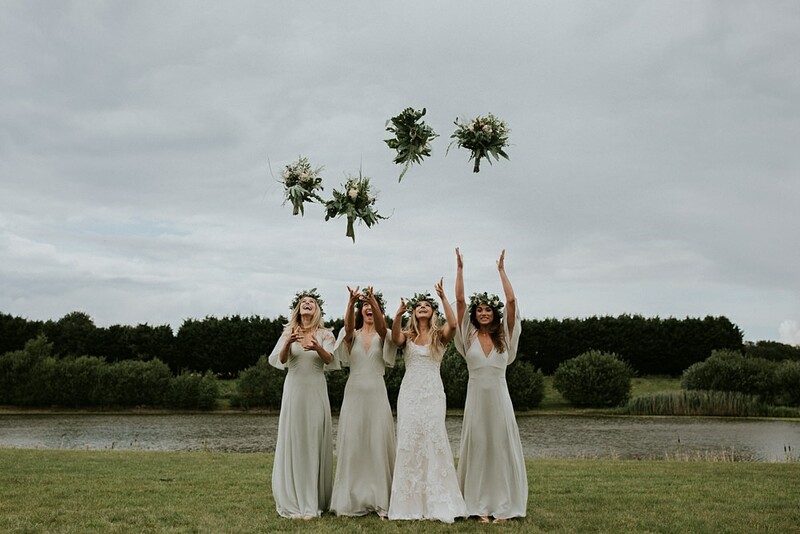 The table plan was a handmade dream catcher with pretty olive foliage and gypsophila flowers which tied in the natural boho wedding feel, a lovely rustic vibe. 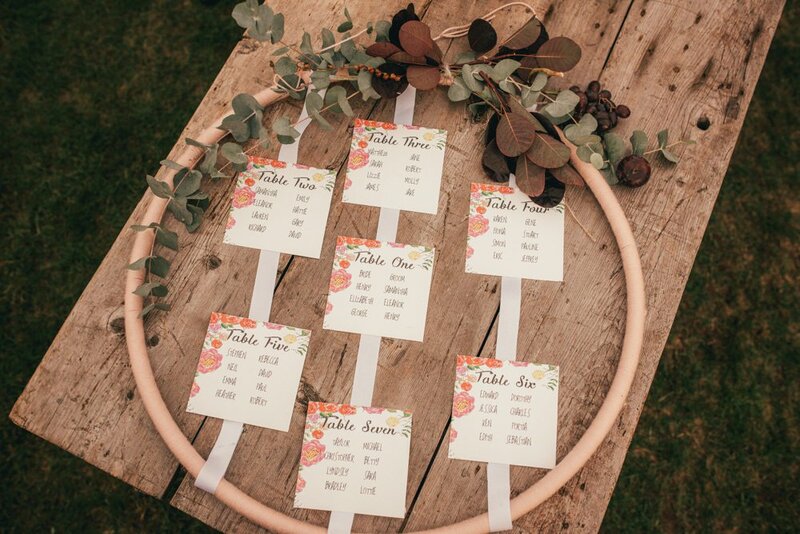 Each guest had a name place and little succulent plant to keep as a favour from the day. 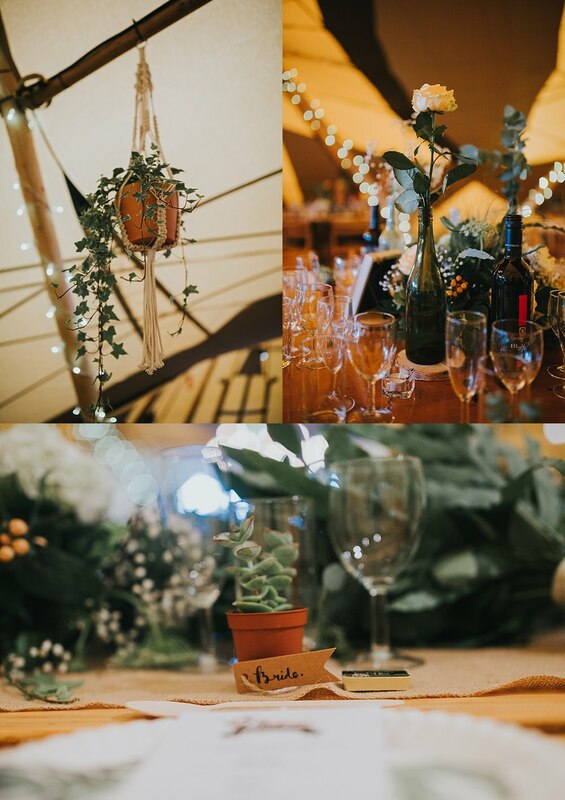 The path up to the tipi was lined with ferns and festoon lighting and there was a beautiful cake display with plants and rustic touches at the entrance too. 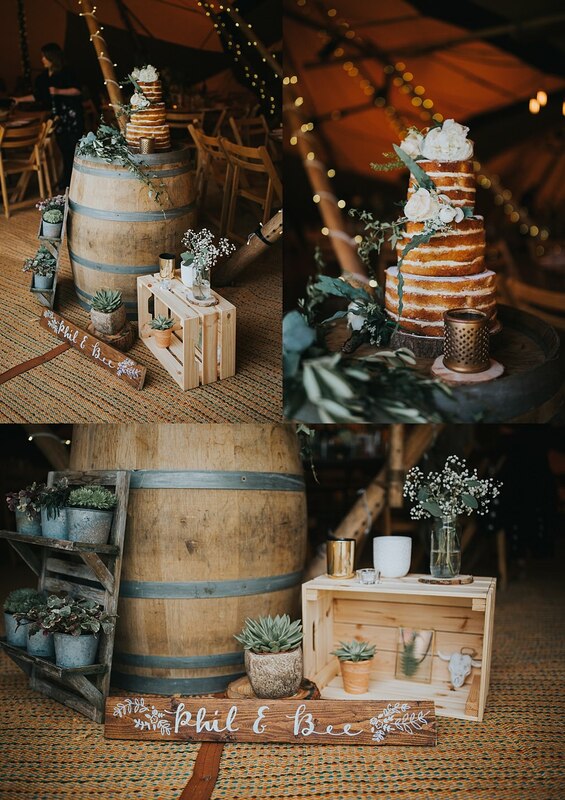 The couple used one of our lovely bleached oak wine barrels to show off their stunning naked wedding cake, with cool rustic crates, plants, candle light and signage. 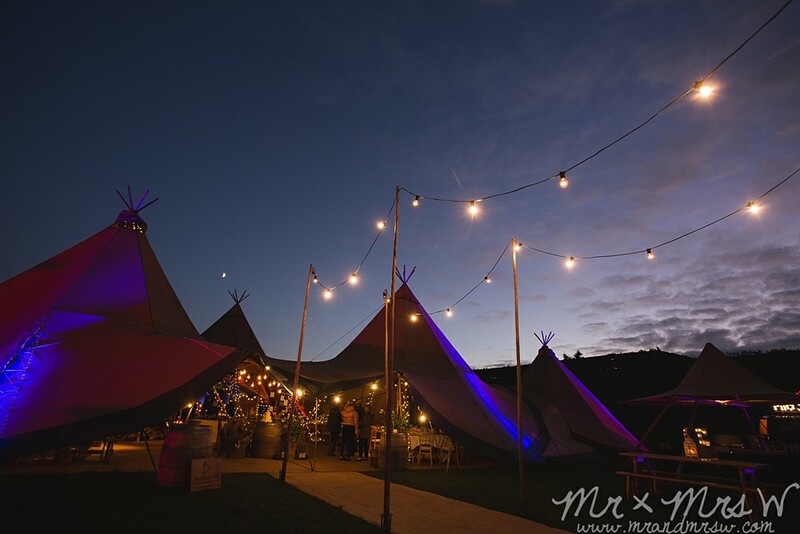 It was time to party as the dusk descended on the lake, the tipis take on their amazing evening atmosphere as the sun sets. 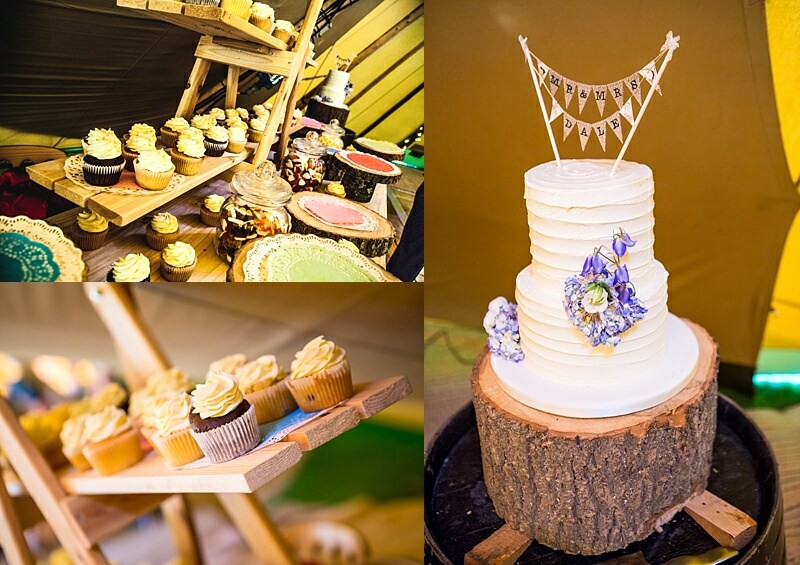 Bethany and Phil had an awesome naked cake to cut before hitting the dance floor for their first dance. 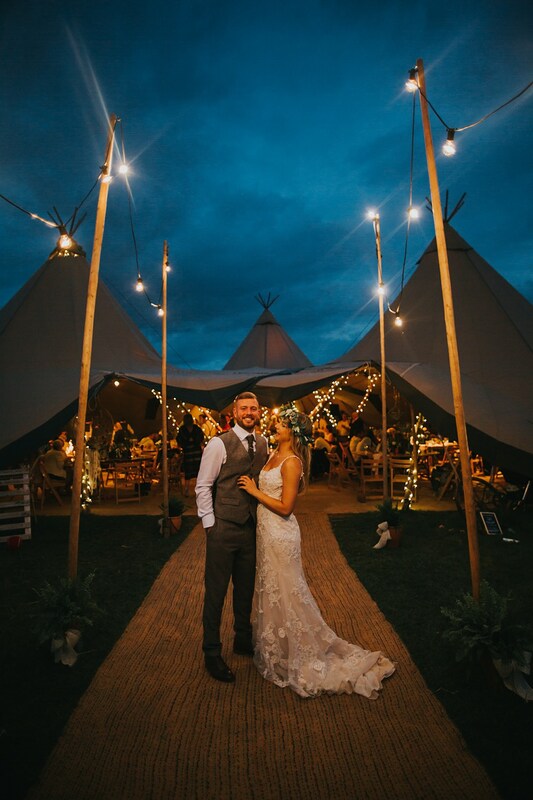 Huge congratulations to Bethany and Phil from all of us here at All About ME Tipis and Marquees! 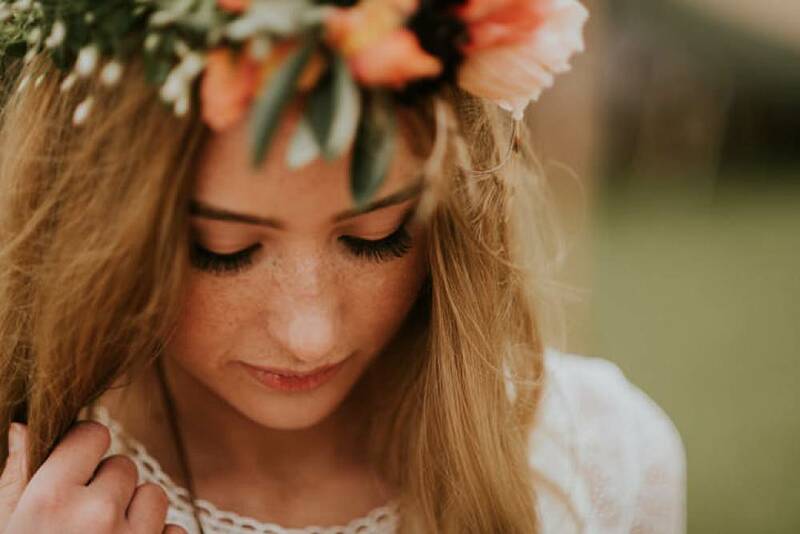 You are fabulous and your day was amazing! 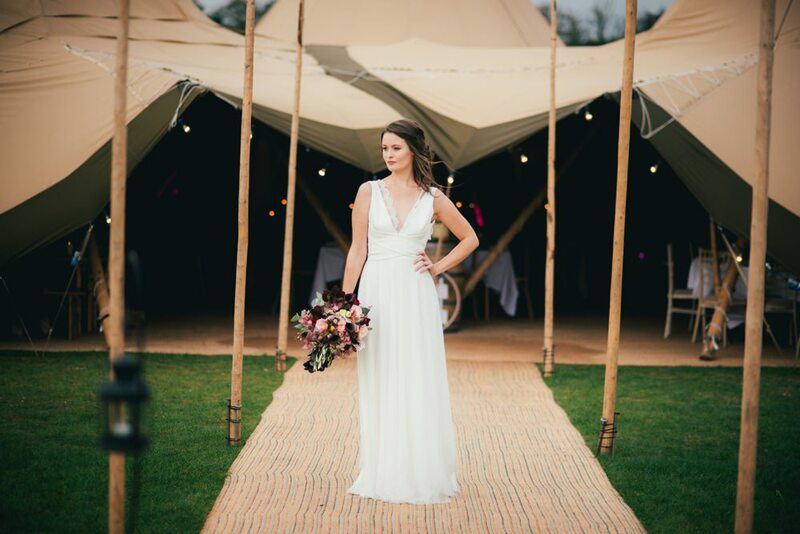 Massive thanks as well to Colin Ross Photography for the epic images, you can see the whole day over on his blog. 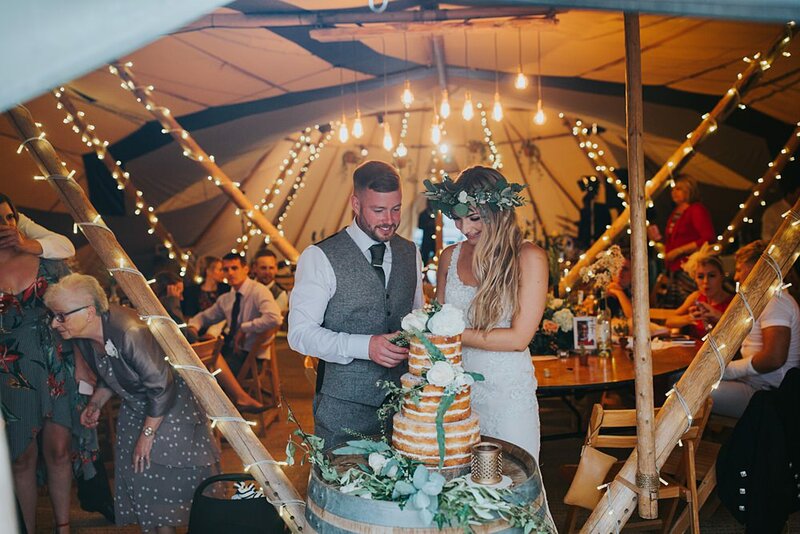 We hope you’ve enjoyed this real wedding in our tipis, come and see the Tipis set up at this venue in Cheshire, Delamere Events in a few weeks time. 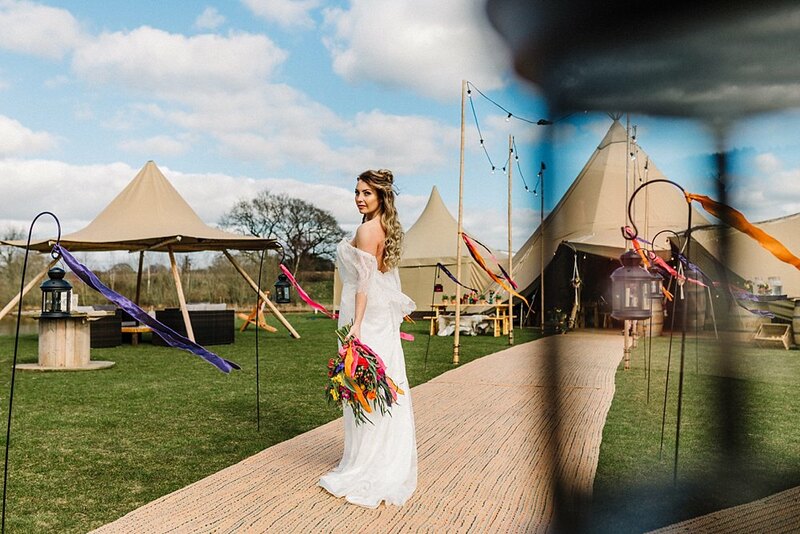 We’ll be there Friday 9th, Sat 10th and Sun 11th March showcasing our Tipis and with exciting booking info about our new Marquees too! 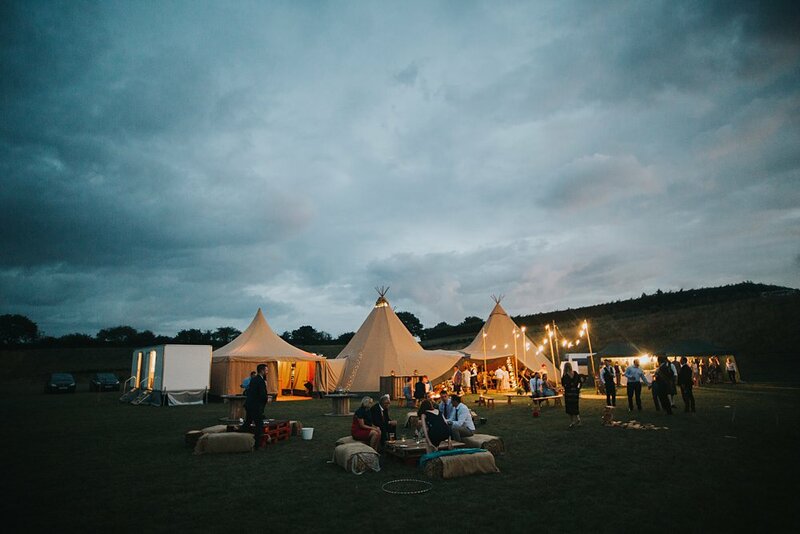 We know we’re having a bit of a heat wave but it doesn’t matter to us what the weather does outside, it’s always perfect for a Tipi event. 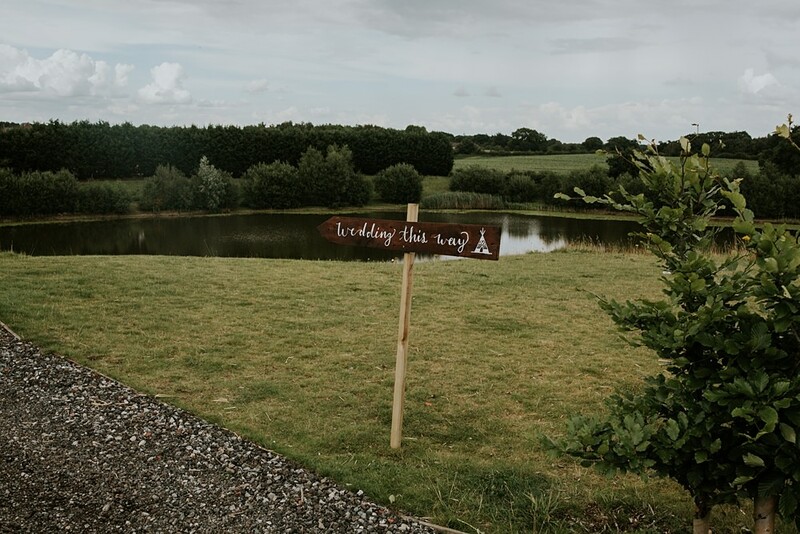 We work all year round. 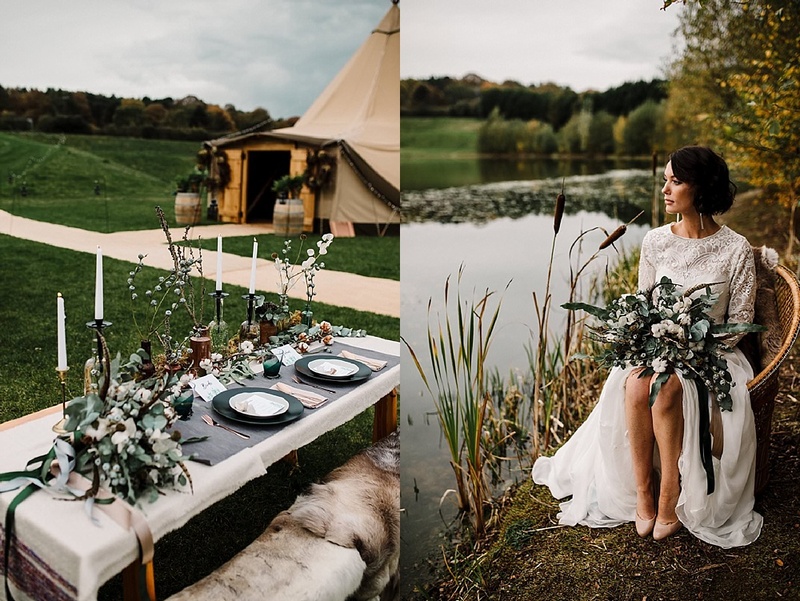 So have you ever considered holding your event in the Autumn or Winter time? 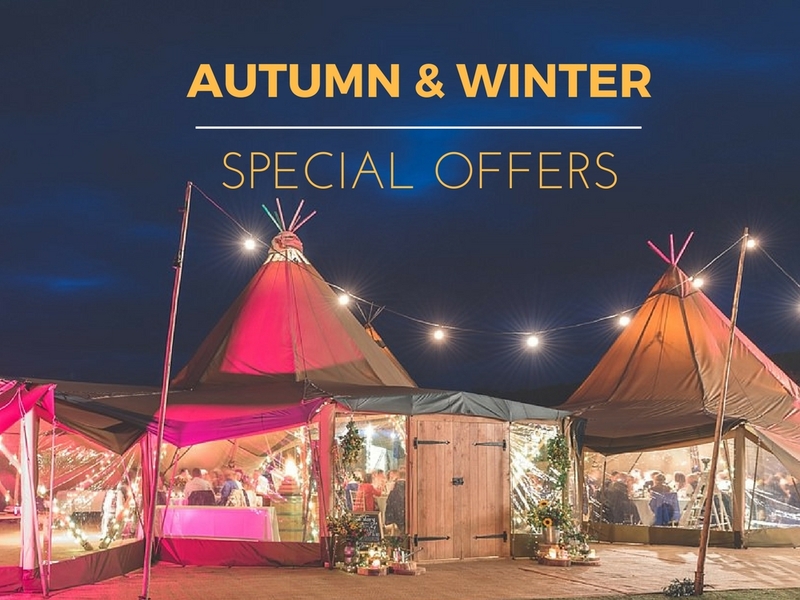 We have some special offers for events in October through to March. 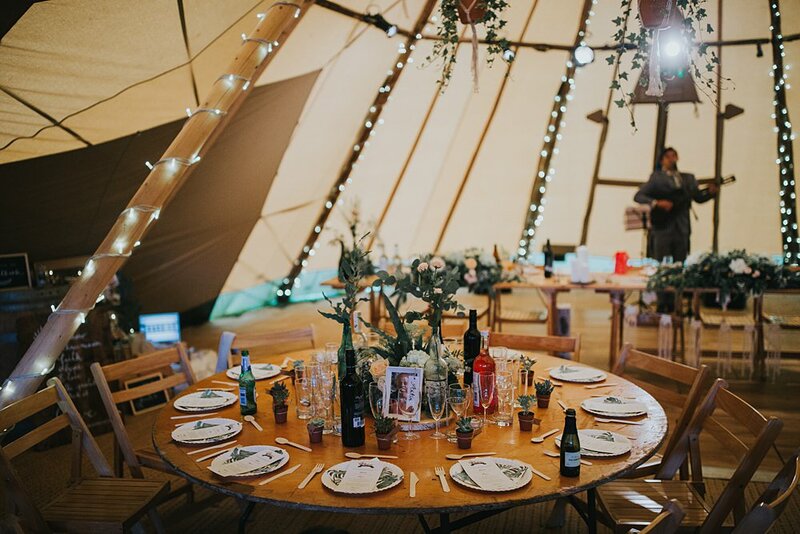 Whether it’s a bonfire party birthday, a Christmas party, Wedding or maybe a spring Christening, our Tipis will make your event spectacular! 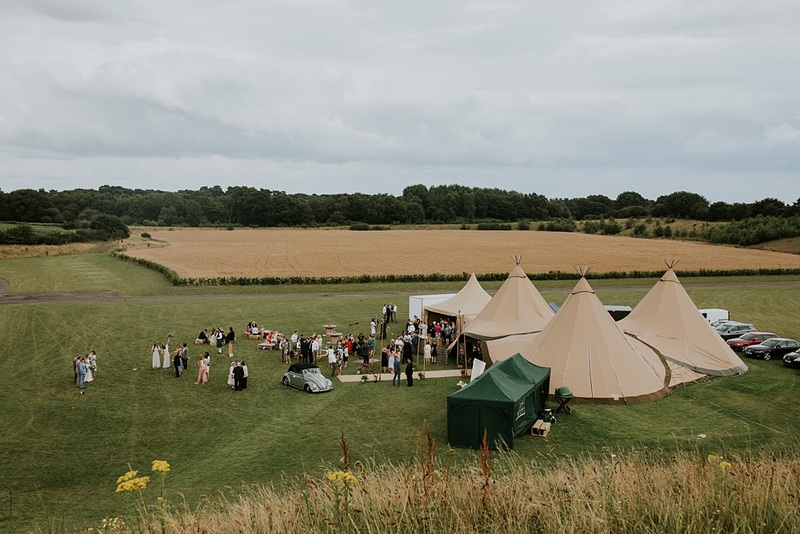 The Tipis can be used all year round, they are manufactured by clever chaps and lasses over in Sweden and are made to withstand anything the clouds can throw at them.. should they need to!